Check out our FREE guides to varicose & spider veins, and anti-ageing treatments. The friendly staff at Sunshine Vein and Cosmetic Clinic look forward to hearing from you. We offer a range of advanced solutions that are non-surgical and minimally invasive to help treat your varicose veins. You are entirely unique, which is why we strive to enhance your natural beauty rather change the way you look. Spider veins affect so many of us, yet everyone is different, which is why we tailor our treatments for every patient. 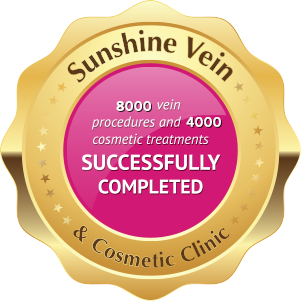 At Sunshine Vein Clinic our non-surgical cosmetic treatments can enhance your natural beauty and improve your quality of life. With a highly qualified team trained in all of the latest cosmetic and vein procedures, you can rest assured you are receiving the highest standard of treatment. At our Sunshine Coast practice we aim to make our patients comfortable and relaxed during their visit. We offer all of the newest and most effective technologies to treat your vein related problems and prioritise our patients' needs first and foremost. Do you have a question for Dr Hugo Pin? We are here to help. Please click on the link below to email Dr Pin today. We look forward to hearing from you. We understand that there are outlays that can be associated with having surgery, therefore, Dr Hugo Pin is happy to announce that there are now options available to help you! * TLC Medical Procedure Payment Plan AVAILABLE!